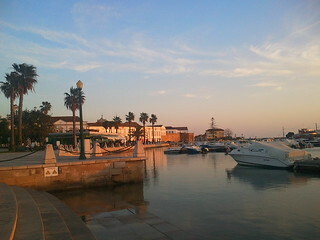 Faro is the regional capital of the Algarve region in southern Portugal. 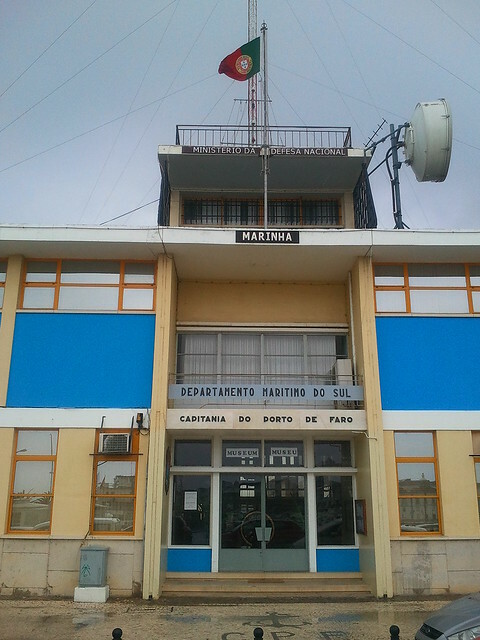 I spent four nights there in late March 2012, staying at the Santa Maria Hotel. While many people fly into Faro Airport and then head straight for a resort, I think Faro is a very interesting city and certainly worth a day trip. 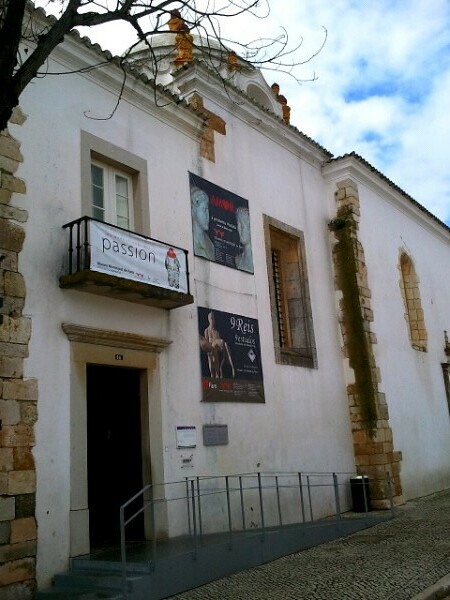 Here are my tips for ten things to do in Faro. There are several options for boat trips. 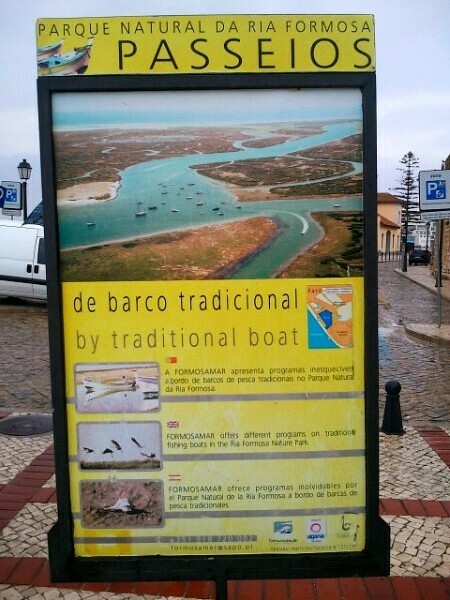 You can take a traditional boat around the lagoons of the Ria Fromoso Natural Park. 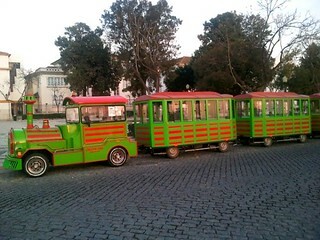 The Faro Road Train will take you on a ride around the city’s main sites. 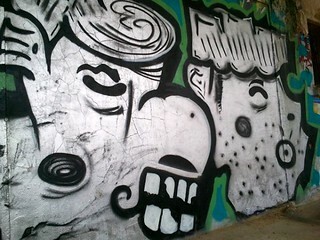 There’s lots of street art in Faro, especially close to the railway station. Get down to the Marina as dusk is falling, and if you’re lucky you’ll be able to watch the sunset. There’s a cafe right by the Marina. The museum is housed in a former 16th century convent and there’s a large Roman mosaic on display. 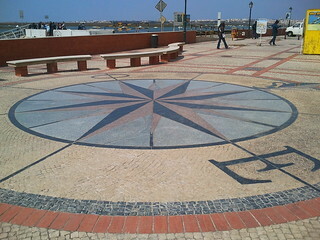 Just down from the Marina close to the departure point for the boat trips, there’s a giant compass in the pavement. The Recreation Cultural Association building is behind the railway station. 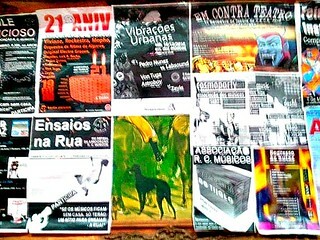 When I was in Faro there was a heavy metal band playing one night and a day-time event for fantasy board game fans. 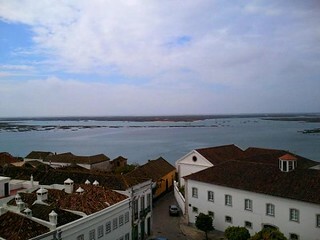 You’ll get some great views over Faro from the Bell Tower of the Cathedral. The Maritime Museum is by the Marina, but watch out as it’s only open Monday to Friday and closes for a two and a half hour lunch break between noon and 2.30pm. 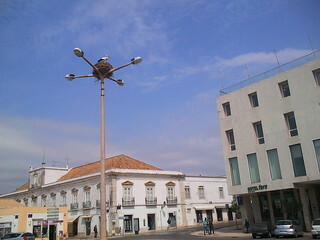 You can see storks everywhere in Faro. There was one performing its mating dance at the Cathedral Bell Tower and one pair had even built their nest on some lights at a roundabout.